You like awesome Spirits, but don’t know Ron de Barrillito? Thank your lucky stars, we’re here to show you the way. Ron de Barrilito is Puerto Rico’s oldest and most exclusive Rum brand. The name literally translates as “Rum from the barrel.” What’s the story behind this witty if not very subtle name? Well, it all began in 1871, when Pedro Fernandez developed a formula for Rum similar to the style of French Brandies and Cognacs. As per European tradition, the drink was made only for consumption of family and guests. The early reviewers were dazzled by the contrived Spirit. The Rum was served directly from the barrel, ergo the legend was born and the naming rights reserved. The Fernandez family has been making Rum from then on out with the same secret formula and aging process. Fans and critics agree – you cannot do much better in the world of premium Rums. Since this is still a family owned business and the family does most of the actual production work, this Rum is only available in extremely limited editions. It is produced in two age-specific expressions. 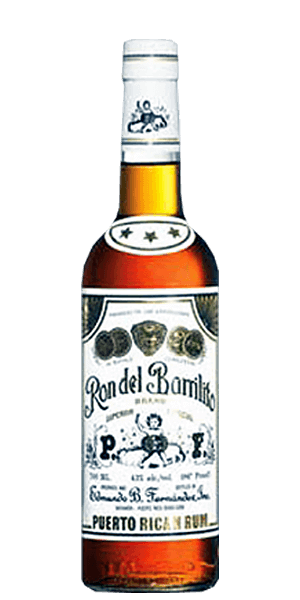 The Ron del Barrilito 3 stars, a blend of six-to-ten-year-aged Rums, is their flagship bottle. More than anything, it is a statement to Rum’s ability to be just as complex and rich as any other Spirit out there. What does Ron Del Barrilito 3 Star Rum taste like? The Flavor Spiral™ shows the most common flavors that you'll taste in Ron Del Barrilito 3 Star Rum and gives you a chance to have a taste of it before actually tasting it. We went to the hacienda in Puerto Rico and did a tasting - every one was spectacular. I'm not a rum drinker but this stuff is special. This can be made for cocktails, but not coca cola - too good for that. Try an old fashioned or on rocks! This rum seems impossible to find here in Colorado but I stock up on it when I go to Puerto Rico. It goes for about $25 a bottle there. If you like Bourbon and want a nice change up, this stuff is perfect. It’s not spiced, it’s smooth, and goes great on an ice block. So glad Flaviar carries it. Without a doubt, this rum put Puerto Rican rum on the top of my favorite list. The only negative for me is I have to now buy another bottle sooner rather than later. One of my favorite rums to taste and enjoy. Enjoyable neat with maybe one ice cube. Nice kick for such a smooth drink. Takes me back to Condado every time. Hate that I only brought 3 bottles home from the island, glad this site delivers it here in the states. Proved I’m partial to Rums from Puerto Rico! I like that I can enjoy the flavor neat and or as a mixed drink. The price point makes it a staple in my bar. Holiday time a great addition to eggnog. This is the best of Puerto Rican rum. I can enjoy this neat or mixed and enjoy the flavors completely. Given the price point, I don't think there is a better buy. Overall good rum. Not as smooth as Appleton 12 year and a bit of a charcoal aftertaste but a nice addition to my bar. The Fernandez family does not disappoint. This is a true sipping rum with the cane of Puerto Rico simultaneously leaping from the nose and lingering on your palette like the best San Sebastian party you've not attended yet!